Women's Health PLR - Evergreen Niche Special Offer! eBook, Report, eCover Graphics, Articles, Social Posters, Infographics! Private Label Rights Evergreen Niche Offer! Brand new, very high quality PLR - Done For You Women's Health/Wellness - Self-Care - with expertly written content - eBooks, editable HD videos, editable infographics, articles, graphics and much more. 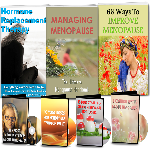 Giant brand new, quality DFY PLR - Managing Menopause with eBooks, reports, videos, editable infographics, sales materials, long articles, many images and much much more. Brand new, quality giant DFY Women's Health, Fitness And Natural Wellness 200 Piece PLR pack with 2 eBooks, report, sales materials, editable videos, editable infographics, long articles, many images and much much more.